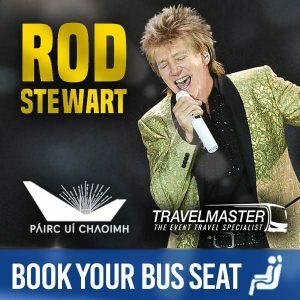 THIS IS A DEDICATED CONCERT BUS SERVICE, THE BUS WILL DROP ALL CUSTOMERS TO THE COACH PARK THE MALAHIDE CASTLE AND PICK UP FROM THE COACH PARK 45 MINUTES AFTER THE EVENT FINISHES. 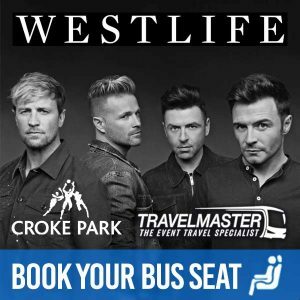 Through Travelmaster, you can purchase tickets for Bus to Gorillaz from Cork, Kerry, Waterford, Tipperary, Limerick, Kilkenny, Carlow & Laois to the Malahide Castle because TravelMaster provides an easy and smart way to travel to concerts &events – since seats sell quickly, don’t delay and book today! While you relax and enjoy your journey, others are rushing from hotels and luas stops to get to the venue. TravelMaster buses drop you outside the Malahide Castle and return to collect you after the event! How do I buy a ticket for a bus to Gorillaz? Because this is an eTicket, you must save the ticket on your phone or print it out (the eTicket must be presented to the bus driver when boarding the bus)Any Questions, check our FAQ here or contact us now on our Contact us Page Here. Why should you use TravelMaster to travel by bus to Gorillaz? COMFORT: You travel safely in comfort and as a result, you arrive refreshed to enjoy the Gorillaz event. EASY: Travelmaster will drop you and collect you outside the Malahide Castle. Hence, no need for taxis or Luas.